I went on the most amazing trip through a company called Adventure Trippin (www.adventuretrippintours.com). We spent a few days on the Tana River riding wild waves in a whitewater raft, then off to do a Camel safari with the Masai Warriors on the Laikipia Plateau. Then off to do an adventure multi-day rafting trip on the Athi river. A few luxury lodges thrown in, with amazing game drives. All in All it was a wonderful experience, which I would highly recommend to anyone. 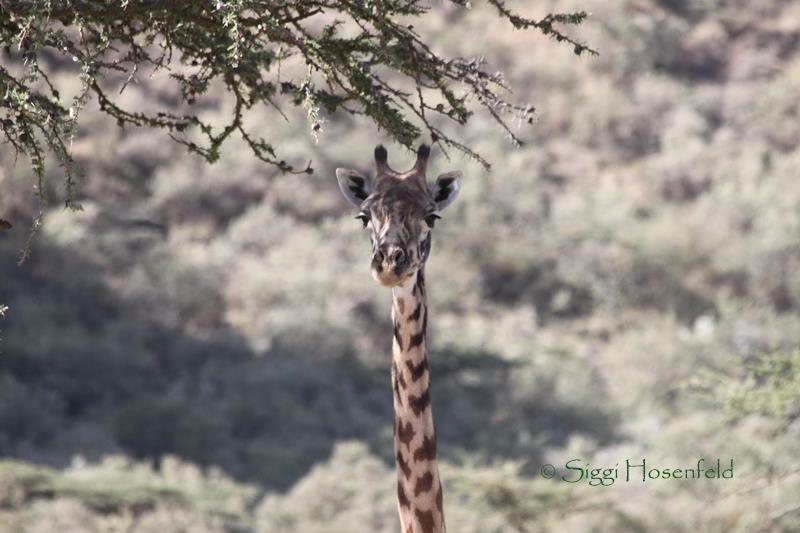 What can happen on a safari to Kenya! This story begins as one which is often repeated in those countries where needs create desperation. The story begins in 2001. My husband and I were blessed with the opportunity to take a mission trip to Kenya. While on our Safari, our team was gifted with a tour to a Maasai Tribal village. Our guide was one Oltetia Ole Munke, Junion Elder and spirit-filled Christian. Here is where the story becomes very different. Oltetia shared the plight of his people with us. I'm sure we don't need to elaborate, water-borne illnesses, challenges with education, empowerment of women, men displaced from their primary roles, hunger, poverty, etc. Because I could not pronounce his name, I called our guide simply Ole. Not knowing that the meaning was "son of". When I reflect on this time there was an exact moment that changed the course of my life. The moment was when, as I listened to Ole's story, I said: "May I take the story of your people back to the USA with me?" The result is a 501c-Christian organization called Nosim Maasai Mission. I am very proud of the name Nosim, given to me by the spirited Maasai man who has become like a son to me. As a result of accepting this god-given assignment, Nosim Maasai Mission is, at this very moment digging a well in the area of N/Enkare. We have provided food and over 65 school uniforms in Suswa. God has blessed us with a childcare ministry in Ole Ki Munke. Our school has grown from 23 to 65 students. Girls have been sponsored and thus saved from female circumcision. One young man has been able to finish high school and all of the children in our school receive a hot meal every day, supplies and uniforms. All of this done, I am proud to say, through telling the story to individuals, groups, churches etc. Just as it has always done, the Americans reach out with mercy when they know the story. I know there will be no end to this story until there is an end to poverty and devastation. Until governments realize that their greatest resource is contained in their people and that there is only one race, the human race. There is a privately owned Island called Crescent Island, which is a peninsula on the Eastern shore of Lake Naivasha. Different tour operator offer tented camps and lodges and there is a lot of easy to see game e.g. giraffes, waterbucks, elands, zebras and impalas. It is also a heaven for birds with +200 species recorded. The walks are gentle and satisfying and there are short boat rides available. Submerged rim of an immersed volcanic crater forming a bay which is the deepest point of the lake, the Crescent Island is a preserved sanctuary of wildlife where you will wander among tiny herds of mammals. A peaceful experience! The usual way to access the small island is by boat and local people would be happy to serve you. There is also possibility to access it by road passing through the "Horse Riding Complex" then keep right.